Track A1 mixed at The Strongroom. Track A2 & AA1 mixed at Earthbound. Track AA2 produced and remixed at The Hill For One Gun Productions. Published by EMI Virgin Publishers Ltd.
Made in USA by WEA Manufacturing. A Time Warner Company. 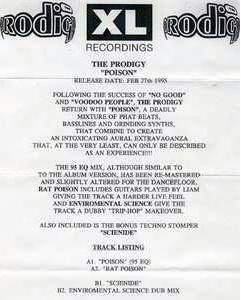 Published by EMI Virgin Music, Inc. (ASCAP). 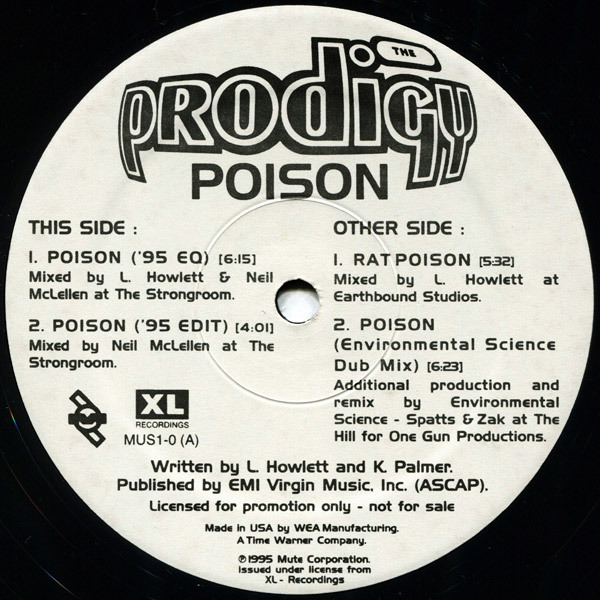 The LP version of 'Poison' is credited as "Featuring Maxim" on tracklist - it is identical to the version on 'Music For The Jilted Generation'. There is no text on sleeve or disk to state that this is a promo. 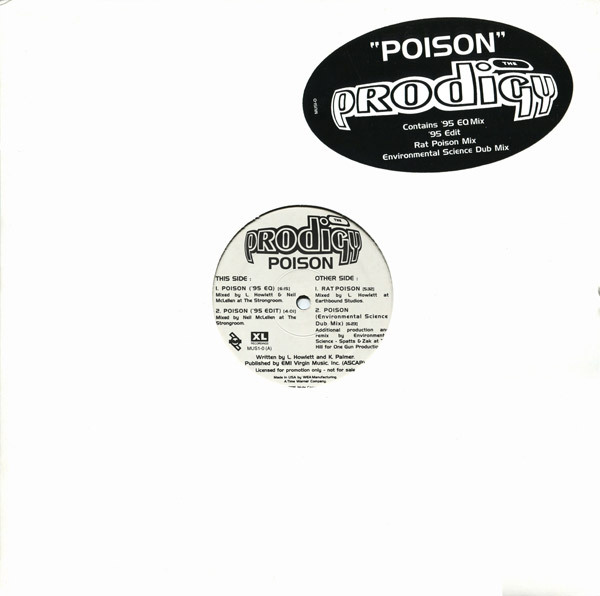 However 'Poison' never got commercially released by Mute Corporation in the US - so only the promo exists. 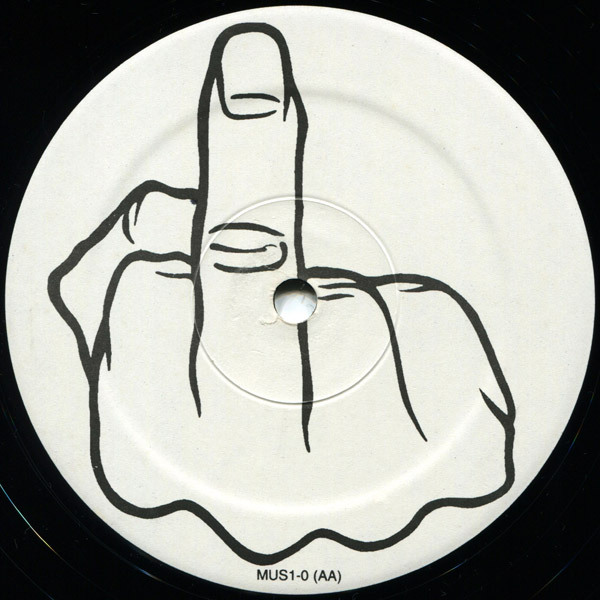 The sleeve also lacks a barcode and states "Printed in Canada". 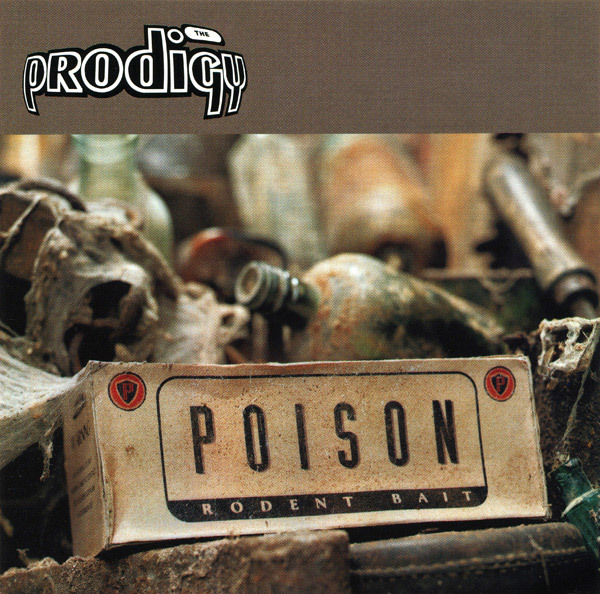 If you know/own some other Poison promos, please mail to me or contact me via feedback form.